It is officially that awkward time of year in Montana. Snowboarding is over. Cross country skiing is done. Too mucky and icy to mountain bike and usually too cold on the downhill as well. Hiking trails are still too wintery. Too cold to float the river. You’re probably assuming we just catch up on some reading, maybe do some spring cleaning. Get out your jerseys and gloves, Lace up your cleats and pump up that pig skin. It is Powder Puff Football season. No! Don’t pump up the pigskin. As I advised Tom Brady; proper deflation in the football and your whole team plays better especially if you have little hands. A flat junior sized football is optimal in powder puff and not so painful on tender breast. 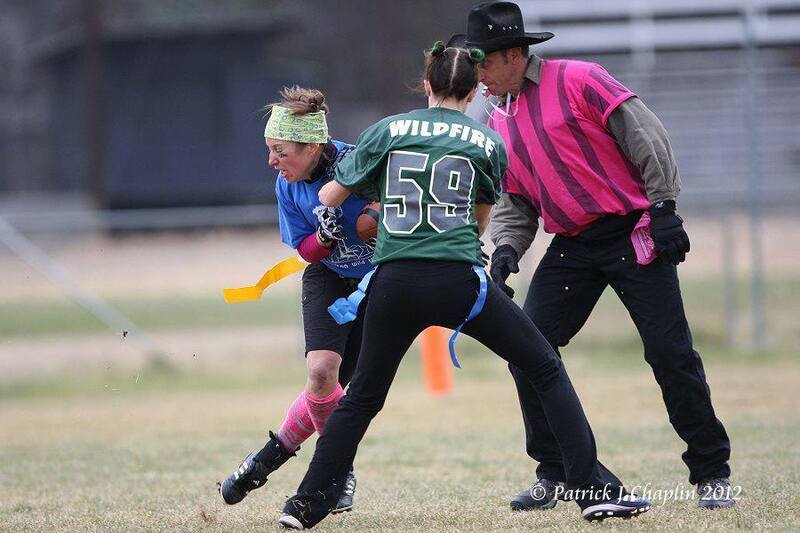 Darby Powder Puff Football League started several years ago by my eternal optimist friend Christina. The league is a school fundraiser for the Destination Imagination Teams. Each football team pays a fee to play, people pay to come watch, there is a concession stand and there are paid sponsors. We have referees, a chain gang, a clock/scoreboard person and an entertaining announcer who makes the cost of the $2.00 ticket, the deal of the day. We have encouraged the spouse like people to create a cheerleading squad but clearly need to up the encouragement ante as this had not yet become a reality. The league originally started as a fall event. Then one year a Destination Imagination team won state and were headed to Knoxville for the World Competition. This meant a mad scramble for more fund raising and the advent of Spring Powder Puff Football. There was even an experiment to have a men’s league. A testosterone filled football field without any bodily protection is just an invitation to a catastrophe. The men’s championship game ended in a fight and everyone was told to go home. The women seem to be more tame but I would have to say that “powder puff” is a misnomer. This game is rough and tough. I’ve been flattened, run over and stepped on all in one fell swoop and once by my own teammate. Traditionally, I have played the quarterback position. Number 16; Poe Montana; in case you haven’t heard of me. Most people assume I’m the quarterback because I have such a good arm and an insanely accurate throw. No. I am the quarterback because I can immediately get rid of the ball, step back and let the play take it’s course while I’m safely in the background with no one coming after my flags. I’m the oldest one in the league and I’m not stupid. Quickly getting away from a mad rush of competitive women is your safest bet. It was my childhood dream to be a football quarterback. One year I asked my mom to buy me a “Mr. 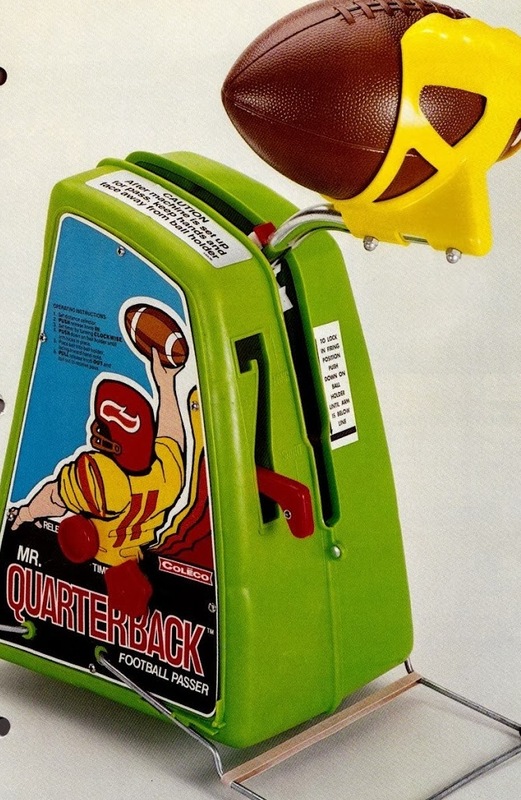 Quarterback” a battery operated devise that you placed your football in and it would throw you the ball. My mom said that was the saddest thing she had ever heard and instead brought guys home to throw the football with me in the yard. Thanks to my mom for teaching me that men are better than battery operated devices. 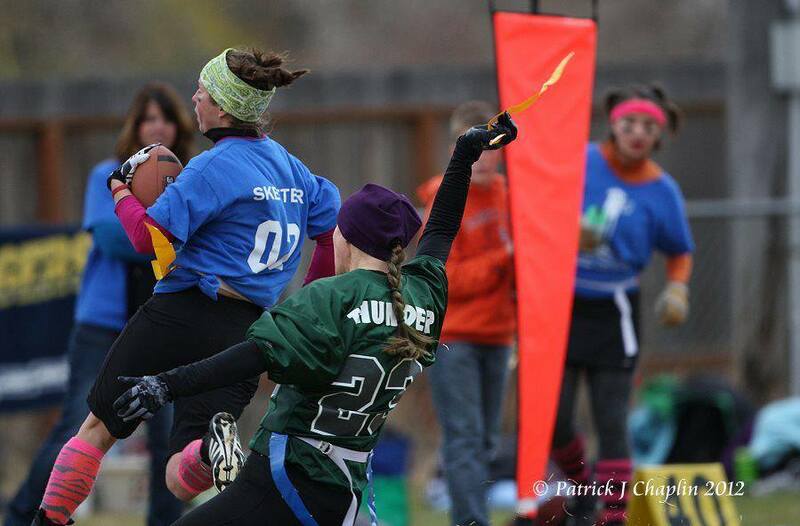 Powder Puff games are played rain, sun or snow. Some seasons there are just smeared event signs up and down main street as the weather has wrecked them before the games have even started. It’s always a good time whether you are standing by a burn barrel to keep warm or getting burned by the hot sun. We’ve always had 4 teams in the tournament; Dotson’s Barmaids, Hamilton Wild Things, Darby Destroyers and the green team or blue team; I can’t remember. The Barmaids have won most of the tournaments but we have made them earn it. After the tournaments you’ll find most of us supporting some of the local drinking establishments and having a celebratory or congratulatory shot. 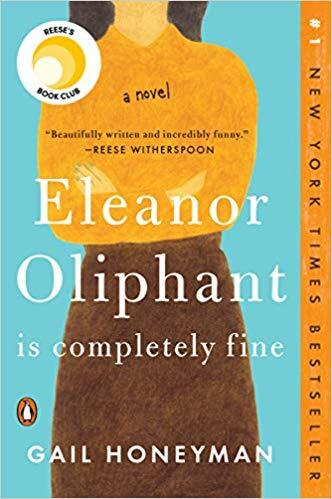 A shot whose name is usually a particular body part paired up with a descriptive adjective. If you’re looking for a good time and want to help out a local fund raising event then come cheer on the teams on the evening of April 24 and all day April 25 to help send another Darby DI team to Knoxville again this year. It is so rewarding to hear your sweet little girl making complimentary remarks about your child rearing abilities!